You work hard on your garden and you want it to yield the results of that hard work. There is nothing more frustrating than garden enemies and pests that come in and destroy all that you have worked for. However, it’s more common than you think. There are numerous types of pests out there and they can really ruin a great garden of any type. You might find that pests come at certain times of the year, or that you have several different garden enemies you need to get rid of it, all at once. Whatever it is you’re going through, we understand the frustration and we’re here to help you control these pests. Rabbits can be so cute and cuddly, until they are chewing up your favorite plants or vegetables. 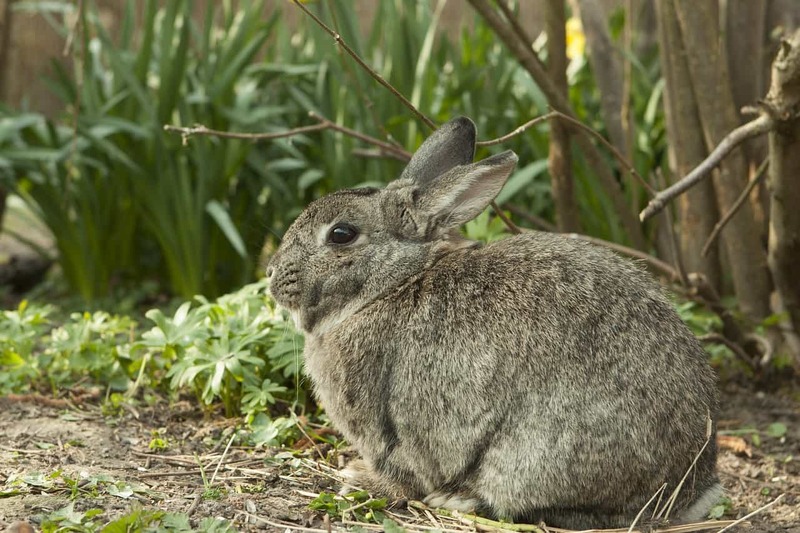 If you have rabbits getting into your garden, you have to do something about the pests. The best way and most humane way to keep rabbits out of your garden is to build a protective barrier with chicken wire that has one-inch or smaller mesh (so they can’t get through). You need it to be at least 2 feet high to keep them from jumping over it and about three to six inches deep in the soil so they don’t burrow under it. You should bend the buried portion away from your plantings, so as not to damage the roots. 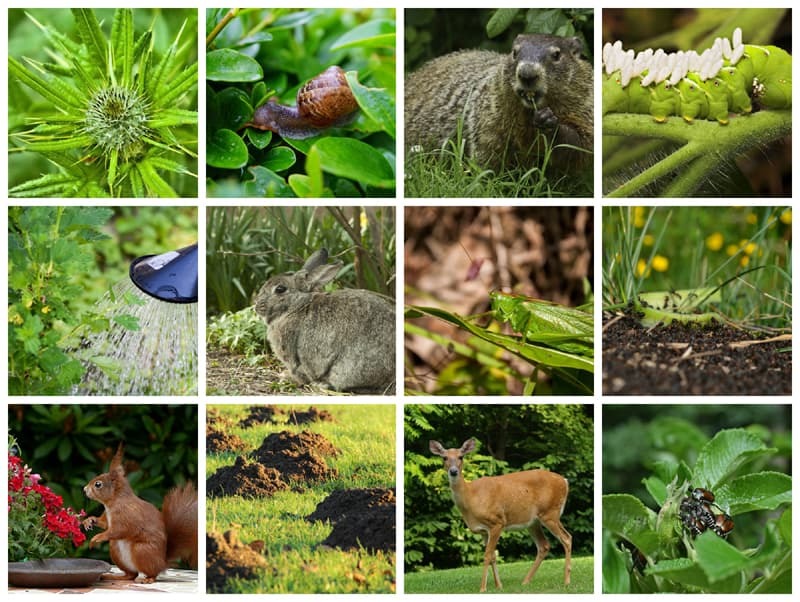 If you have groundhogs in your garden, you know what a pest they can be. They can also be difficult to get rid of if you don’t know what to do. 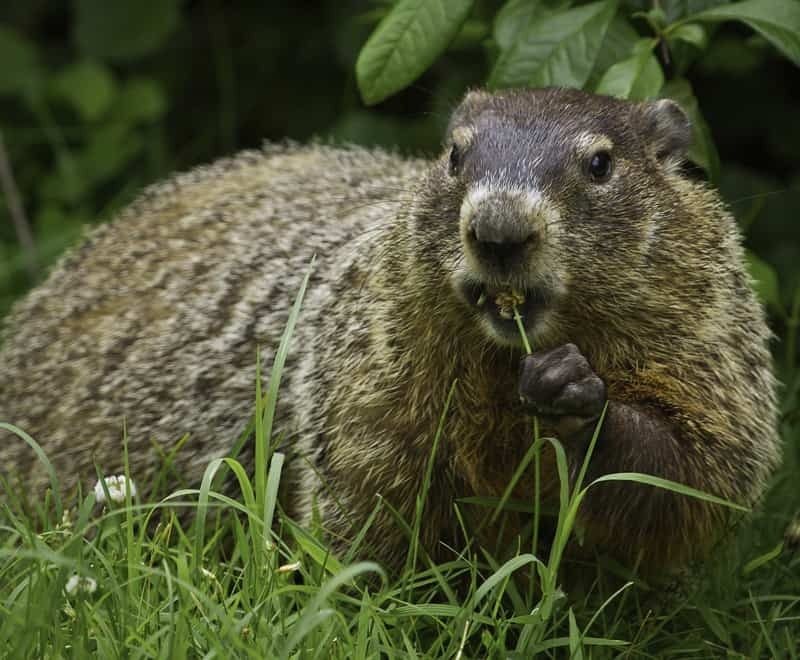 Having groundhog trouble in your garden can be a nightmare. They eat huge amounts of vegetables and all of their burrowing can destroy roots and even undermine the structure of homes and buildings. They’ve even been known to attack small children and pets at times. So, what can you do? Ultrasonic devices don’t seem to work on them and few other things will work. However, fencing can keep them out, if done correctly. You need sturdy 6-foot high animal fencing and you also need to prevent the burrowing. You can do this by digging a 2-foot trench around the area. You’re going to stuff two feet of the fence down in this trench. They won’t dig deeper than that. Then, you’ll leave three feet above-ground. However, since we said 6-foot fences, you’re going to bend that final foot at the top in a curved manner. When the groundhog realizes he can’t dig under your fence, he will try to climb it but the bent portion will deter him. Then, he’ll find some other garden to pester. 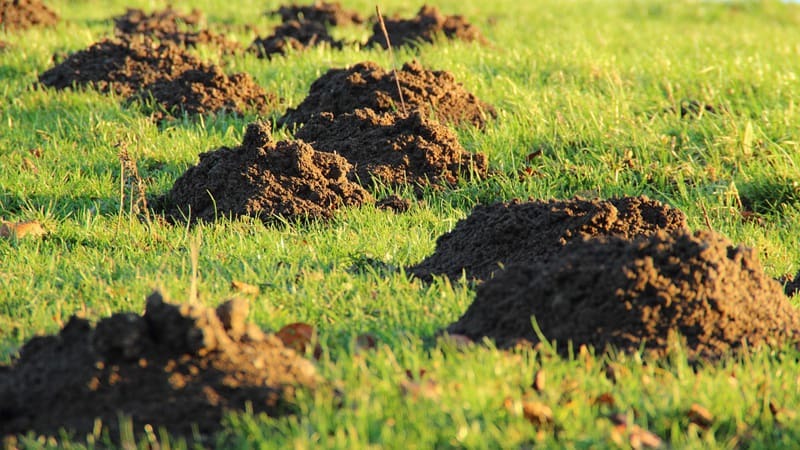 Moles and voles are very annoying burrowing animals that can destroy a garden if you don’t take the right steps to prevent it. One way to get rid of moles is to trap them using a mole trap in their existing active tunnel. Voles and shrews can be trapped with an outdoor mouse trap. If you have moles in your garden, it’s probably because you’re giving them a food source. You may have an overabundance of grubs and bugs in your garden. You can try getting rid of these to deter the moles. Another home remedy is to sprinkle coffee grounds on the soil to prevent them from tunneling. 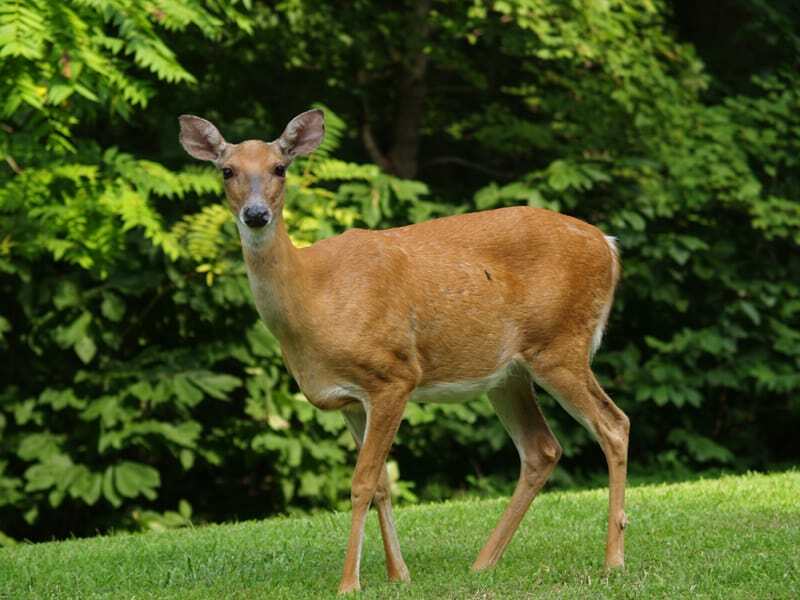 Deer are pretty to look at but can destroy your garden. The best way to keep them out is with a physical barrier, like a fence or cover. Other natural deterrents that won’t poison your garden are to sprinkle soap around new plants and around the garden. It lasts for about a month, but rain and other weather can wash it away and you’ll have to reapply. You can also try spraying something with an unpleasant smell. Deer don’t like this and they’ll run away. 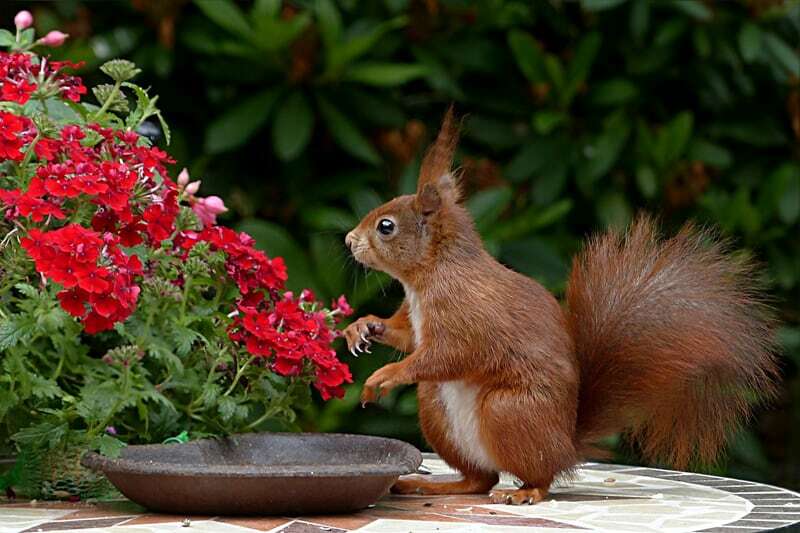 Squirrels may look cute and cuddly, but they can be a pain in your garden. They destroy everything in sight. You can try to deter them by removing whatever is attracting them (such as fallen fruit or nuts, and seeds). If squirrels love your bird feeders (and they all do! ), here’s how you can squirrel proof your bird feeders. You can also repel them with squirrel repellent available from Amazon). People with dogs and cats also find that they often help scare the squirrels away. Here’s a list of ways to keep squirrels out of your garden. When your garden produce is getting ripe, there will always be birds attracted to your berries and veggies. Birds will often come over for lunch, and it can be very damaging to your garden. What can you do to keep the birds away? It’s an old-fashioned tactic but many people still swear by a good scarecrow. 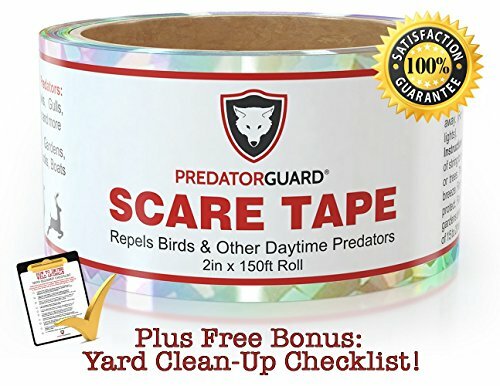 These days you can even use a scarecrow sprinkler, or a piece of scare tape. Another great option is to put netting around your entire garden that the birds cannot get into. Oh, the horror! These little buggers can destroy your entire garden in just a few days! If you really want to keep Japanese beetles out of your garden, you will need to select plants that they’re not going to be attracted to. If that’s not an option, there are a few things you can do to deter them, or to get rid of beetles that are already there. You can protect your plants with row covers during their 6-to-8-week feeding season. You can also pick them off by hand. It might seem like a lot of work but it really is the only sure way to prevent the damage they cause. Some people have also found Neem oil to be helpful with Japanese beetles. Grasshoppers can do damage to your garden too. You can use a garlic defense repellent, or a simple garlic spray. Or, dust the plants with flour, or introduce beneficial insects to the garden that deter the grasshoppers. 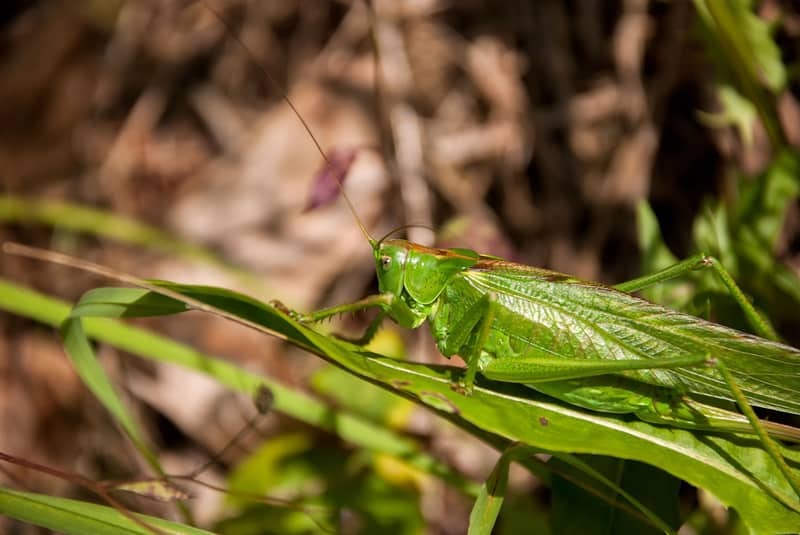 You can also use a semaspore bait around high-traffic grasshopper areas. Usually chipmunks eat seeds, berries, nuts, and insects they find on the ground, but sometimes they will also eat flowering plants or other plants in your garden when it’s an easy food source. There are different ways you can try to keep the chipmunks out. You can try fencing them out but this isn’t always effective since they can climb over the fence, or dig under it. Using spices like cayenne pepper or chili powder around the garden can also deter them. You also have the option of trapping them. 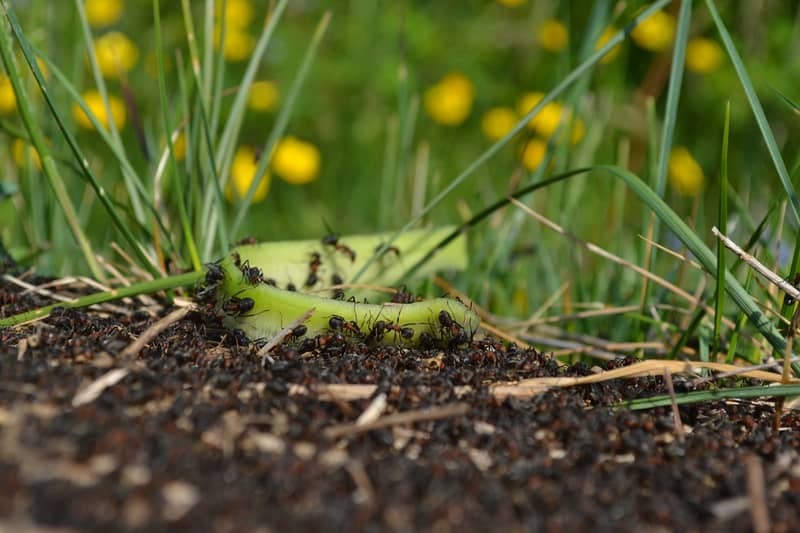 One way to get ants out of your garden is to make a mixture of 3 cups water, 1 cup sugar, and four teaspoons of boric acid. Be sure you don’t use more boric acid or you will kill the ants immediately. Instead, you want them to take this poisonous treat back to their main colony and kill them all. You can also purchase a garden safe insecticidal soap to kill the ants in your garden. Tomato worms are little green caterpillars that eat your tomatoes and they can be very destructive. They are found all over the United States and they also feed on peppers, potatoes, eggplants, and other green foliage. Handpicking them is one way to get rid of these pests. They don’t bite or sting and they are not dangerous to touch. If the population is too large to hand pick them all off, you might try an insecticide. You can also plant dill and basil around your tomatoes for natural control. Also, there’s a type of wasp that lays eggs on the horn-worms and once they hatch they feed on it killing it slowly (see the image above for how this looks). 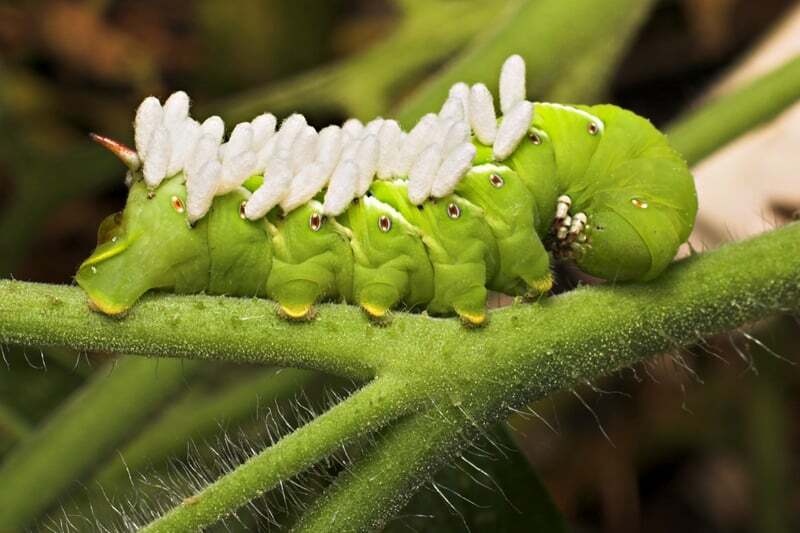 Learn more about how to get rid of tomato hornworms here. The easiest way to get rid of weeds from your garden is to use a chemical weed killer or preventer if you don’t mind using the chemicals in your garden. 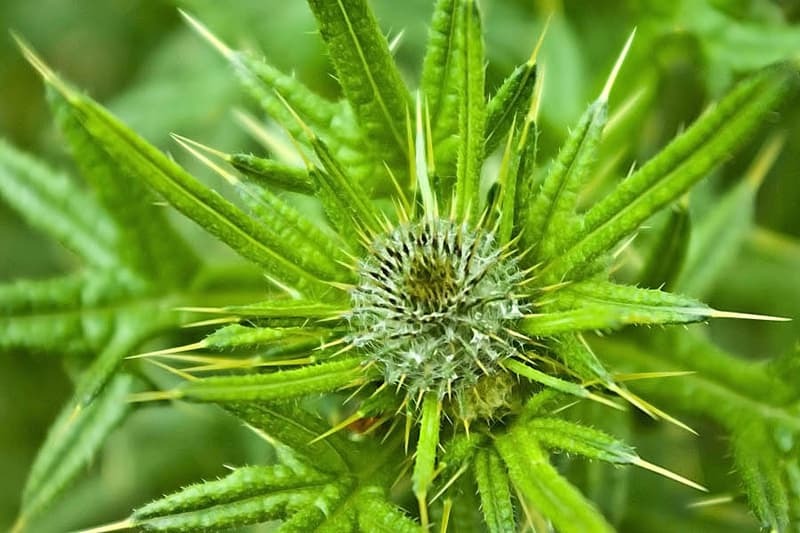 If you’re looking for a more natural way to keep these harmful plants out of your garden, you can use homemade herbicides. Vinegar is a popular choice, as is sodium chloride. I personally don’t like using chemicals, so I do a lot of it by hand. It’s hard work, but worth it. Another way to keep the weeds out of the garden is to start with a weed barrier before you plant (here’s a list of the best ones). If you have poison ivy or poison oak, here’s how to remove them safely. When you’re suffering from a very hot summer, or drought conditions, your garden will also suffer. It can be difficult to keep a garden thriving when the weather is not being co-operative. However, difficult isn’t impossible. You can water more, and also treat the soil so that it holds in the moisture better. You can use an organic mulch, pine needles, or finely ground bark to try to keep the moisture in the ground as long as possible so things don’t dry out. 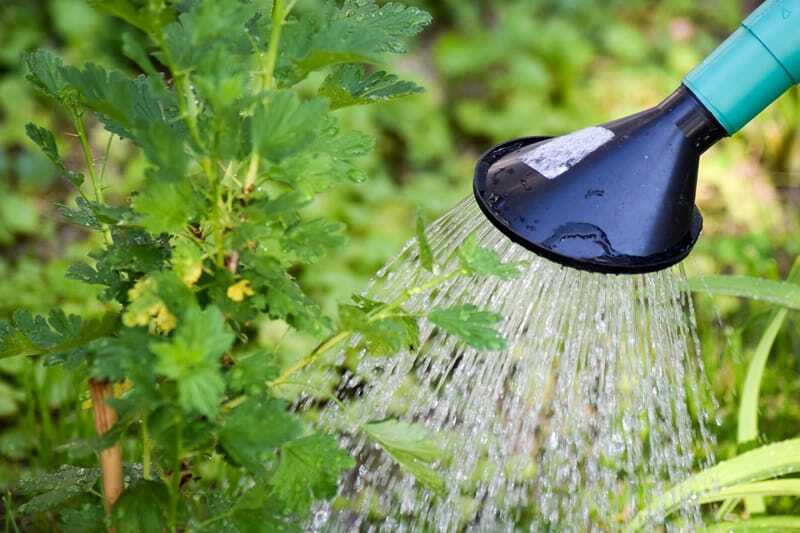 During hot and dry weather water for longer periods of time so that the water runs deep to the roots, rather than a superficial watering. You should try to avoid wetting the leaves whenever possible. This increases disease risk. Do neighbors and people passing by pick your garden? People can really be destructive when they don’t know any better or are not paying attention. If people are picking from your gardens, you could put up a sign warning them not to, you could put up a fence to protect the garden, or you might even use security cameras along with signs, and then just keep an eye out for people picking or walking through/on your garden plants or flowers. And sometimes, even though others might pick a flower or a tomato from your garden, consider it your gift to them, and be happy. Maybe they really needed it. If you have personal health problems that make it difficult to upkeep your garden, does this mean you just can’t have one? Not at all! You should do what you can when you can, or change your garden to accommodate your personal health needs. Maybe you can try indoor or container gardening instead, or maybe you have a good friend or family member who can help you when you’re not able to do certain tasks for yourself. You still get to keep your garden, but on the days your health gets you down, you will have someone to tend to it on your behalf. 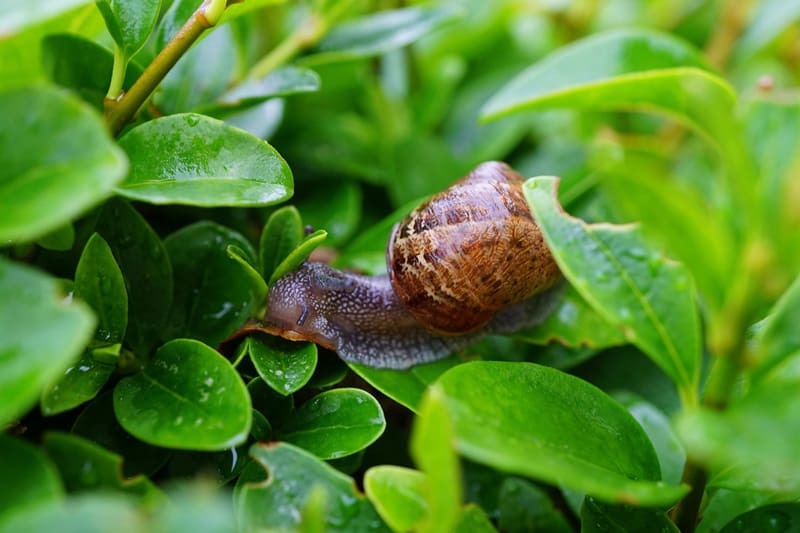 We hope these tips will help you with whatever garden pests you’re dealing with. If you found this helpful, drop us a comment to let us know. If you have any suggestions to add to our list of beating garden enemies, let us know. Happy gardening! Thanks for all the great and needed info. Thank you for me all the great information but do you know any way of repelling chickens. Last year they destroyed my garden! I’m not sure i understand. If you have chicken, just keep them in a fenced chicken area.